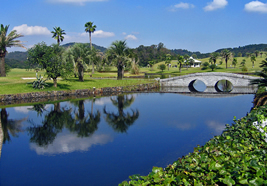 The 36 holes of the King and Queen courses are easy for average golfers, while still difficult enough for low handicap golfers to need a course strategy. The famous 18th hole is beyond the hotel. 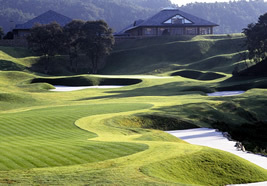 It is also an LPGA certified course. 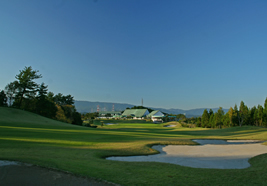 One of the 2015 Japan Senior Open Golf Championship courses. 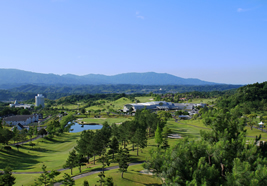 With a distant view of the Nunobiki Mountains in the background, this club overlooking the historical city of Matsusaka has poetic shimmering ponds between the pine trees of the deep green Mt. Fuefuki. 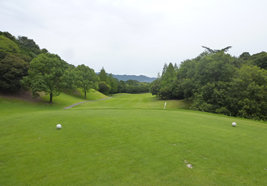 Every hole of this highly strategic course is rich in variety and undulations.